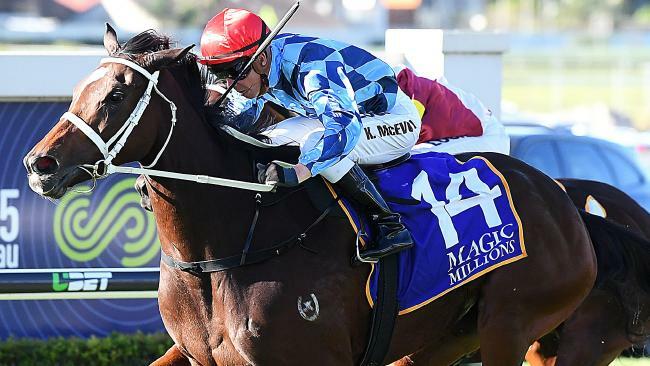 TALENTED mare Youngstar seems almost destined to win the Group 2 $200,000 Schweppes Shannon Stakes (1500m) at Rosehill Gardens on Saturday. Youngstar, winner of the Queensland Oaks last season, is the $3.30 favourite to win the feature race on the back of an eye-catching comeback effort when sixth to Comin' Through in the Tramway Stakes. The Chris Waller-trained mare races in the familiar light blue and dark blue diamond colours of Arthur Inglis, deputy chairman of William Inglis. "Youngstar is my first Group 1 winner,'' Arthur Inglis said. Inglis inherited the racing colours from his late father, John Inglis, who raced many top-liners over the years - including Shaftesbury Avenue. And this is where the past is inextricably linked to the present with Youngstar and the Shannon Stakes, a race named after one the great champions of Australian racing. John Inglis was among the many thousands who crammed the old Newmarket sale ring in 1947 when the champion Shannon was sold for a then Australian record price of 26,000 guineas ($54,600). Shannon, a 2006 Hall of Fame inductee, won 20 of his 44 starts, including the 1945 Epsom Handicap, and successive George Main Stakes (1946-47). But Shannon is probably best remembered for a famous defeat when he was left hopelessly at the start, conceding his rivals at least 100m before charging home to lose by a half head to Blue Legend. 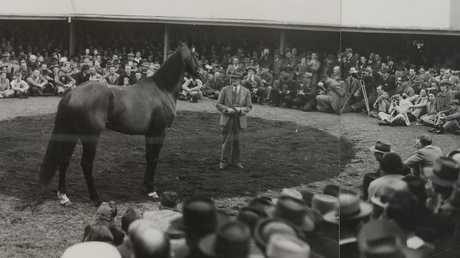 The Newmarket sale ring at William Inglis was packed when Shannon was sold in 1947. Shannon was the only horse sold that day but such was his popularity, he was headline news. 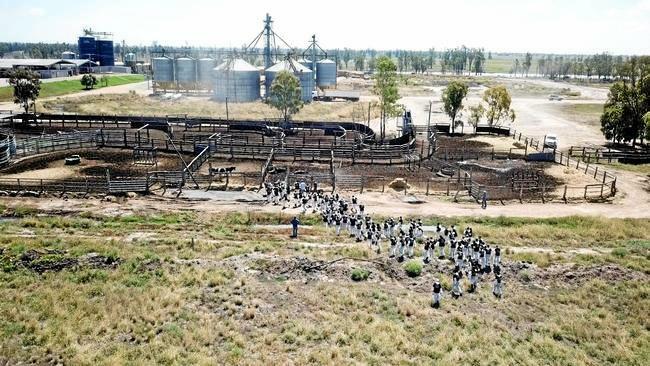 The auctioneer was Arthur's grandfather, Reg Inglis. "It was a very famous moment at Newmarket when Shannon was sold,'' Arthur Inglis sold. Shannon continued his race career in America and in 1948 set a world record for nine furlongs (about 1800m) in the Forty Niner Handicap. A week later he broke another world record at 10 furlongs (about 2000m) in the Golden Gate Handicap. The Australian racehorse also won the prestigious Hollywood Gold Cup and was later named Champion Older Horse in America and was second in the Horse of the Year award to US Triple Crown winner Citation. Youngstar may never reach the heights achieved by the great Shannon, but she is making a name for herself on the racetrack in her own right. She has already won four of her nine starts, earning more than $540,000 prizemoney - a sizeable return on the $200,000 she cost Arthur Inglis and part-owner Ollie Koolman at the 2016 Melbourne Premier Yearling Sale. Inglis said Youngstar's Tramway Stakes effort indicated the mare was in for a successful spring campaign. 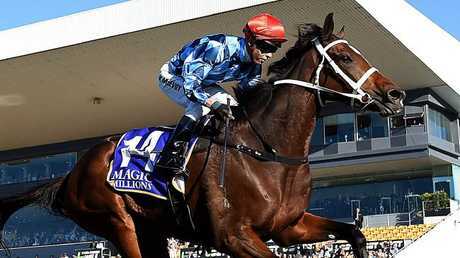 "Youngstar looked in terrific order and ran accordingly in the Tramway,'' Inglis said.